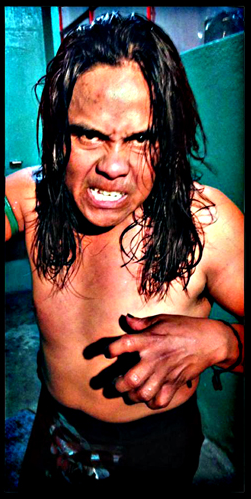 Local barefooted rudo who works regularly in Arena Puebla. Is known to be one of the most crazy bump takers in all of Mexico. Was *not* a part of the Guapos U tournament in 2004 as originally speculated. This page was last edited on 6 July 2017, at 21:12.